You won’t believe this stitch is crocheting, not knitting! Best of all it’s easy to learn! You many have seen hats, scarves, mittens and even cardigans and ponchos that seem to be knitted — you’d never know they were made with the crochet waistcoat stitch. You’d think it was the classic stockinette stitch in knitting but it’s actually all achieved with a crochet hook. So what’s the secret? It is the waistcoat stitch which is also known as the center single crochet stitch. It creates a beautiful texture as you can see in the photo above. Thanks to a wonderful and free video tutorial by crochet designer and blogger Jess Coppom of Make & Do Crew you can master this stitch. 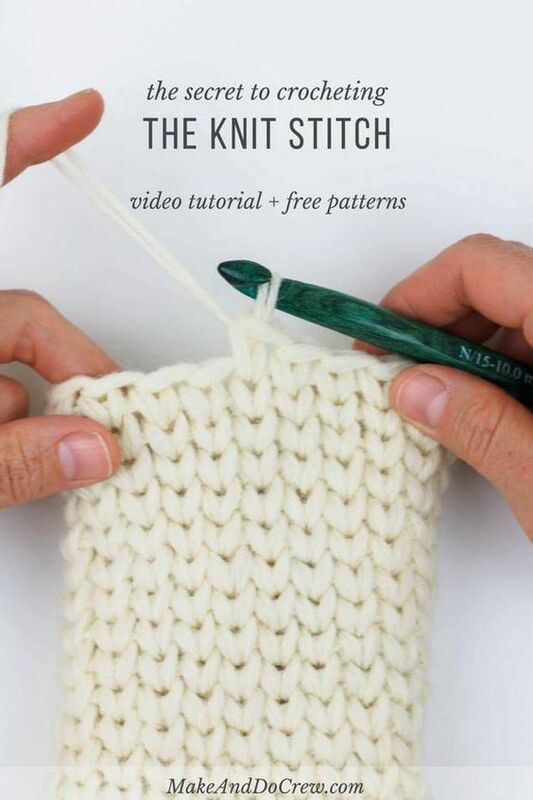 If you’re a visual learner, her YouTube video tutorial will walk you through the stitch easily. Additionally, you’ll find a photo tutorial as well as some easy to follow written instructions, including some very helpful tips and pointers. Not only will you get her fabulous tutorial but she also has some free patterns — for hats, mittens etc — that use this stitch. These patterns are all easy and beginner friendly, too!